There is more to Tuscany than wine tasting and villas. Just as you thought this Italian countryside escape couldn’t get any better, add natural hot springs and thermal spas into the mix. 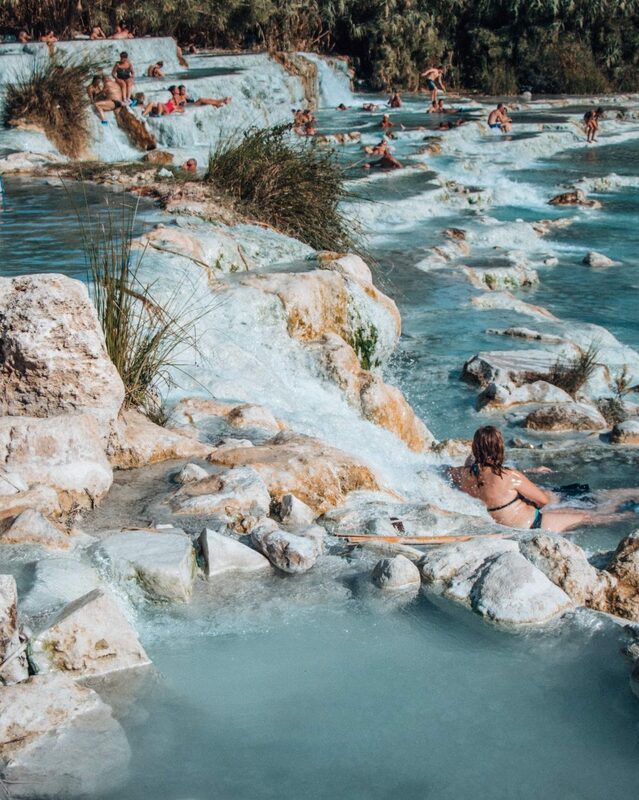 Tuscany is full of both natural hot springs and thermal spas. What better way to compliment your wine tasting escapades than with a relaxing day at the spa. 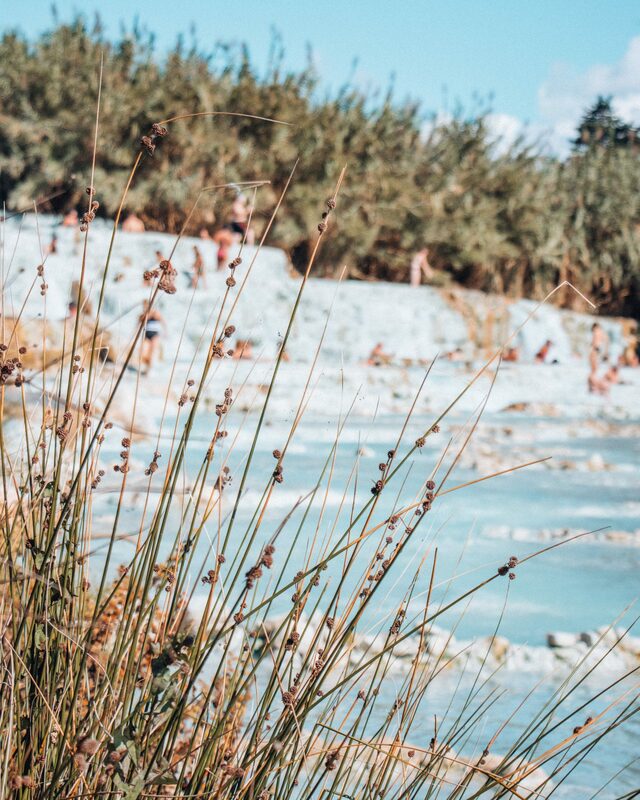 The high mineral and sulfur content of these natural hot springs can tarnish jewelry and fade swimwear, so be sure to remove all forms of jewelry and wear a bathing suit that you don’t mind getting faded. Many of the natural hot springs do not have changing areas or bathrooms, so come prepared with your own towel and already wearing your bathing suit. These natural hot springs are not accessible via public transportation or train, so I recommend renting a car or hiring a driver to reach these destinations. 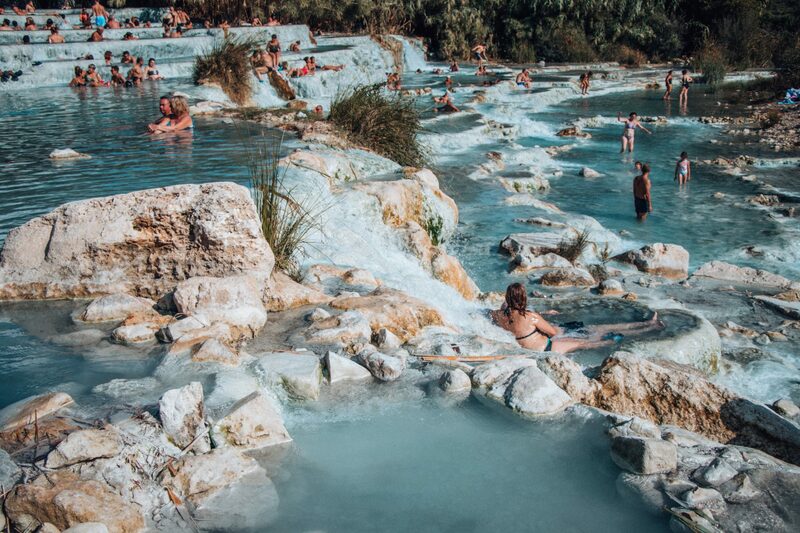 Also located in the Val d’Orcia region, the healing thermal waters of this hot spring has been frequented by pilgrims for thousands of years, who ventured along the ancient Roman road, Via Francigena. The center of the town of Bagno Vignoni is a rectangular central reservoir for the town’s thermal water. During the colder months, watch as the steam rises from the center of the piazza. The thermal waters in the piazza are off limits for bathing, but you can enjoy free access at Parco dei Mulini. For a more pampered experience, stay or buy a day pass at Albergo Posta Marcucci to enjoy their series of thermal water pools, spa facilities and treatments, and chance to bathe under the stars every Saturday and Wednesday night. 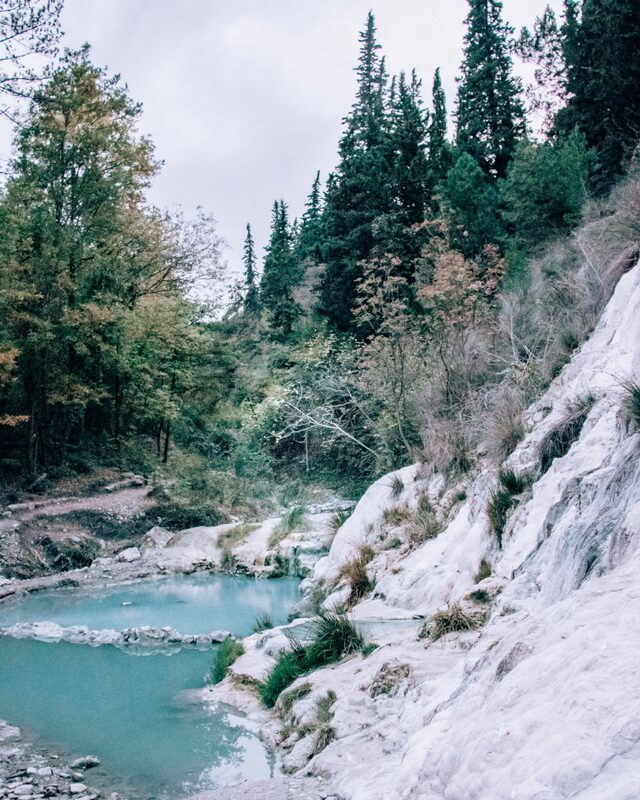 Situated in Maremma, Tuscany, this cascading, sulfuric hot spring was once the wellness hotspot amongst Etruscans and later ancient Romans. Relax in the multi-tiered pools as the water flows down from the above waterfalls at a comfortable temperature of about 98°F (37°C). Tucked between the Val di Merse and Maremma regions of Tuscany, this natural oasis is far from the tourist crowds and also nearby to nature reserves and hiking trails. This healing water is also unique in the region for its’ rich hydrogen sulfide content and hypothermic properties, making it one of the most therapeutic hot springs experiences.